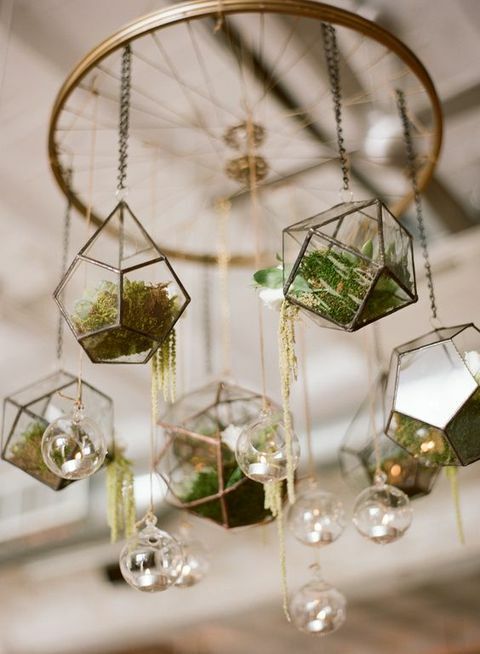 Terrarium deco is one of the best ways to beautify a wedding, with greens bringing a refreshing edge to the décor. 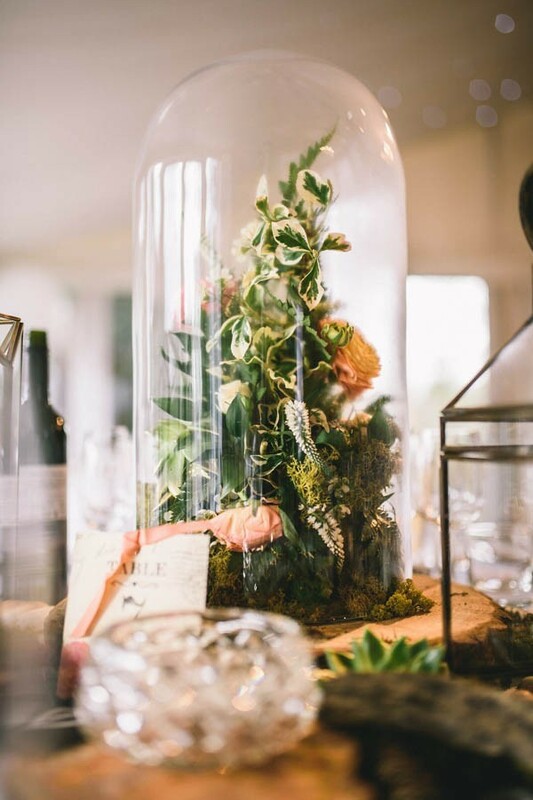 Rustic weddings, fairy tale weddings, nature inspired weddings, traditional weddings and even modern elegant weddings – there is a terrarium design to suit any wedding theme! Let the terrariums be the eye-catching centrepiece of the dinner table! From a wide selection of glass vessels (bell jars, geometric, egg-shaped…) and plants to choose from, you can put a personal touch to your centrepiece and showcase your wedding style/theme to your guests. There are many ways to fill up the centrepiece terrarium. Be it with succulents, flowers, candles or lil figurines, they are sure to bring a smile to the faces of your guests! 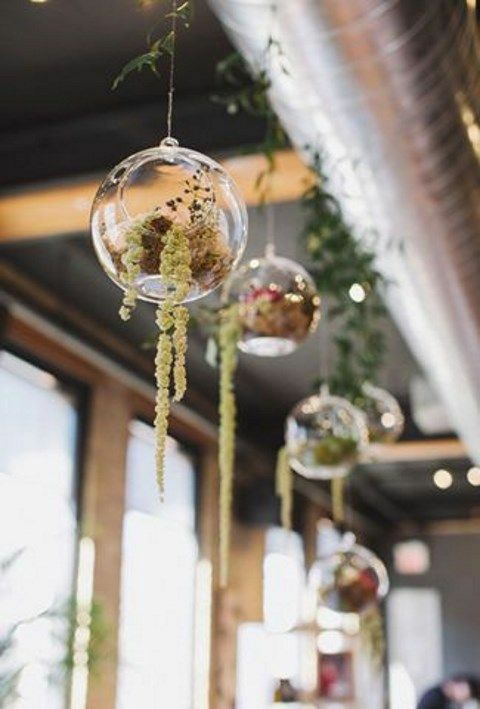 These mini hanging terrariums are adorable and brighten up the place with their uniqueness! Consider having a variety of geometric designs to spice up the deco. For those who love the bauble-shaped terrariums, filling some with fairy-lights or candles will bring an extra sparkle to the design. Showcase your creativity! Upon arriving to their assigned seats, your guests will be in for a pleasant surprise. 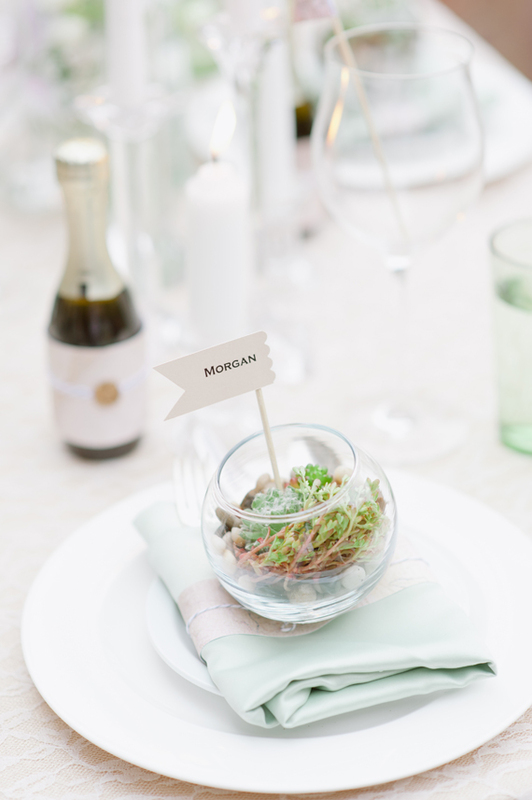 The personalisation given to each place card will touch the hearts of your guests. Why not give them a gift that is sustainable and lovely? This gift will set you apart from other typical wedding favours and is a good keepsake!